Light leather gauntlet with rubber foam inserts and finger tip protection. Excellent maneuverability with light protection. 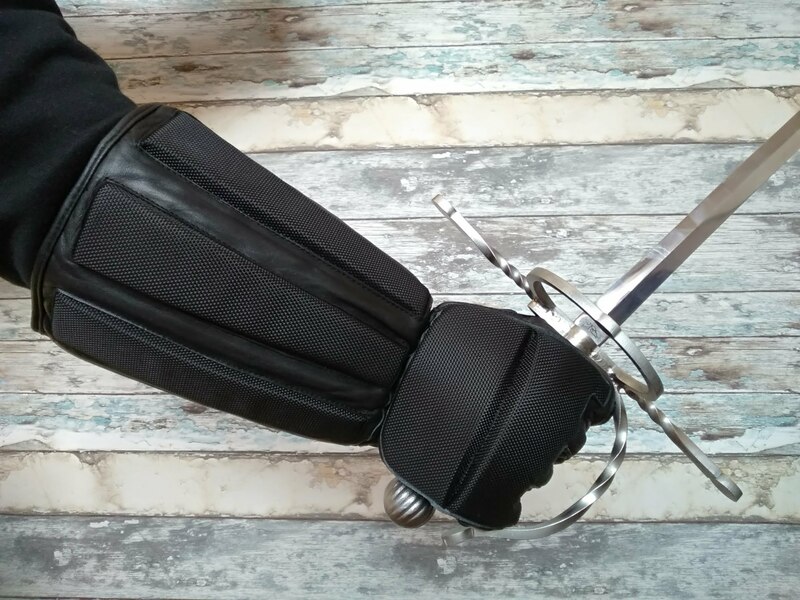 Perfect for rapier, sidesword, or low gear sparrings with Sword and buckler or longsword. We do not recomend them for longsword full speed sparrings and longsword tournaments. Rubber fingertips are comfortable and provide sufficient protection from medium strength blows.